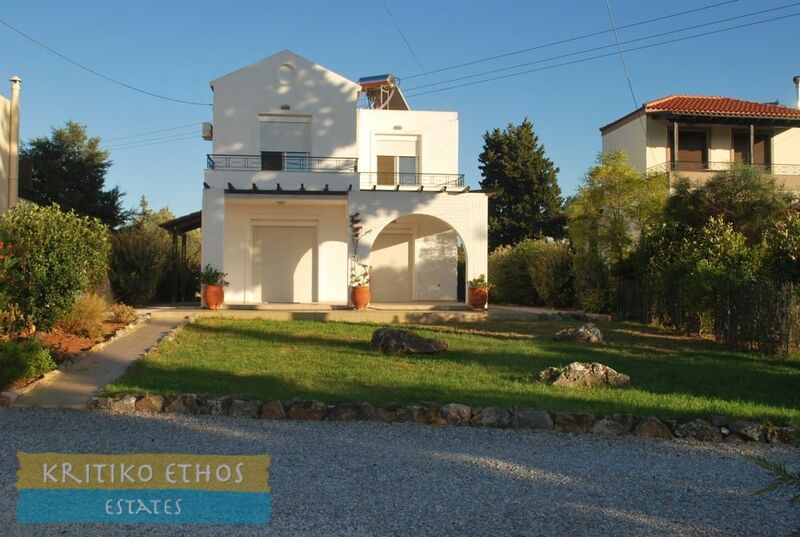 For sale in Xirosterni: Great three-bedroom villa with superb mountain views! 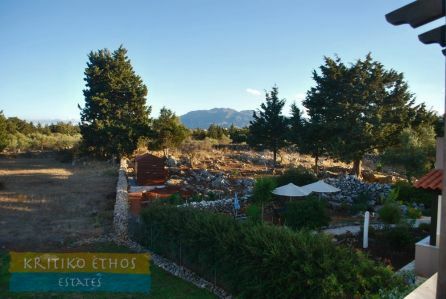 Home > Homes And Villas > For sale in Xirosterni: Great three-bedroom villa with superb mountain views! 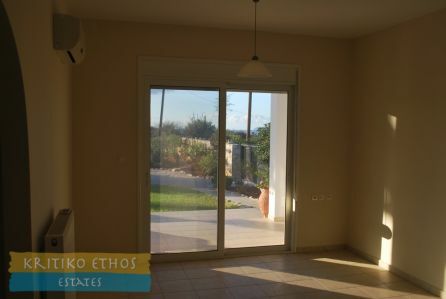 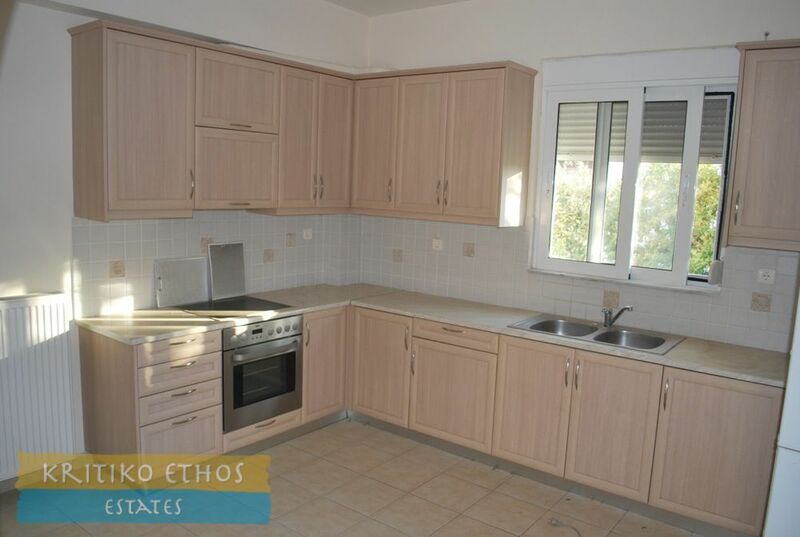 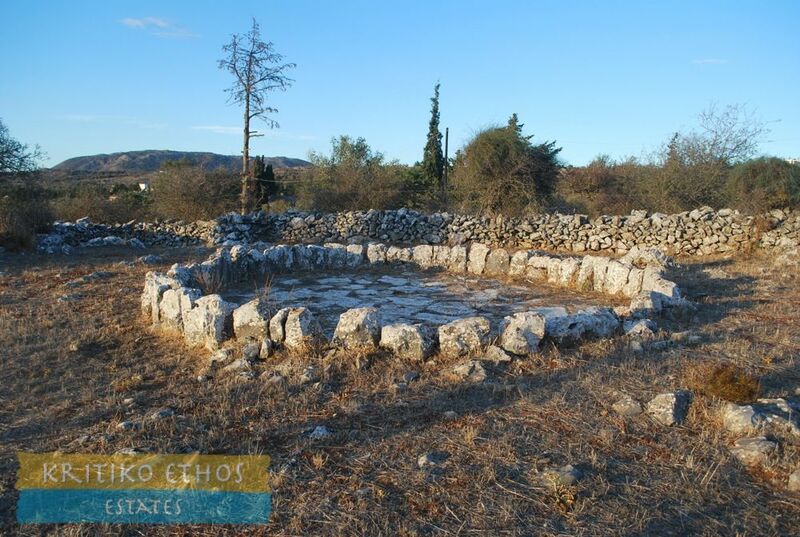 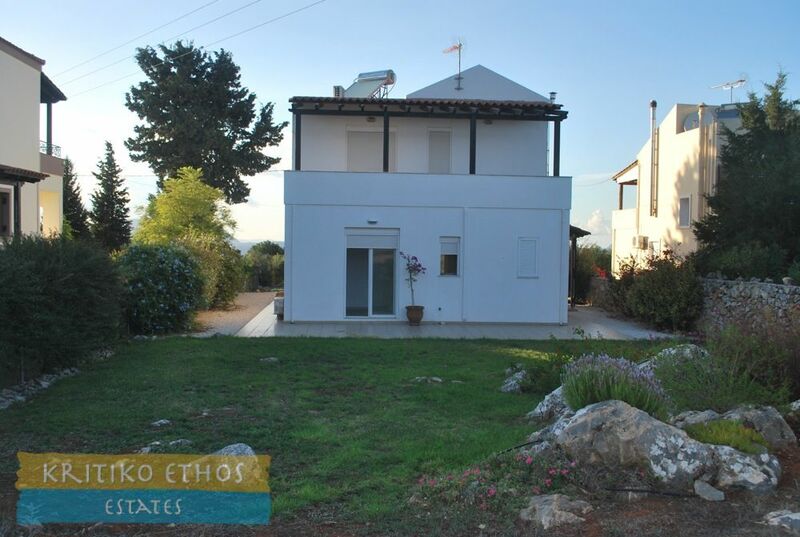 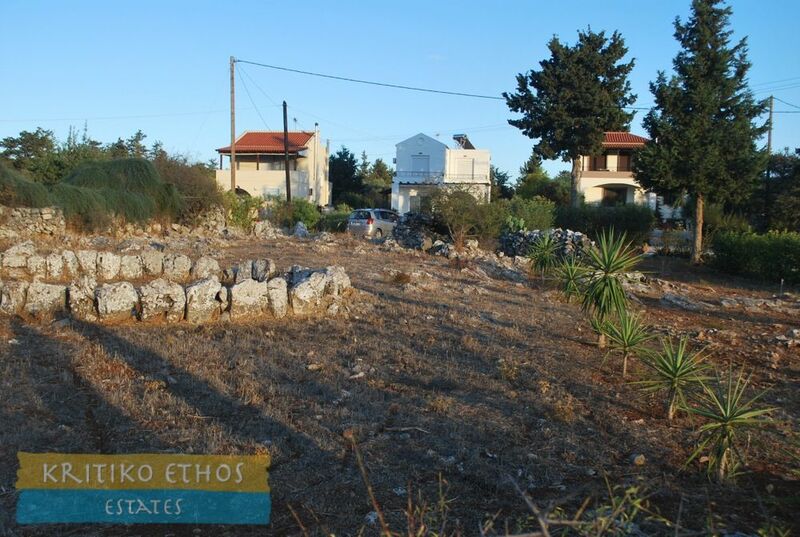 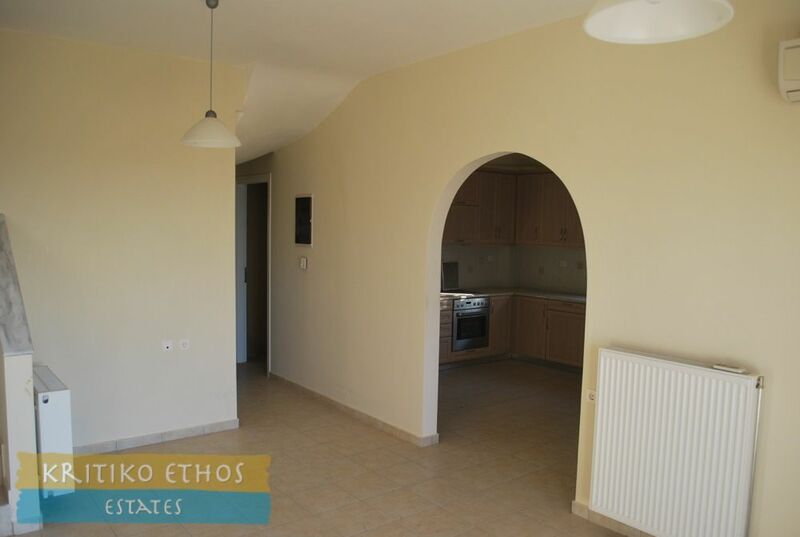 This well-constructed 109 sqm three-bedroom villa is situated on a large 4,460 sqm near the traditional village of Xirosterni, just a short drive from Vamos as well as Kefalas. 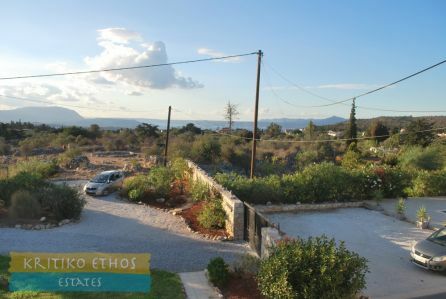 The home offers truly superb mountain views as well as distant sea views and there is plenty of space for a pool. 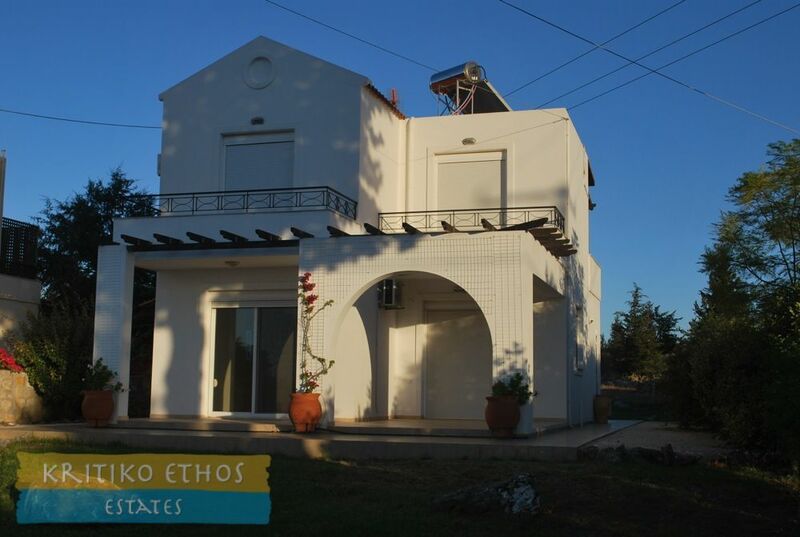 Among the excellent features of this home, it is important to note that the home has been designed with the outside in mind. 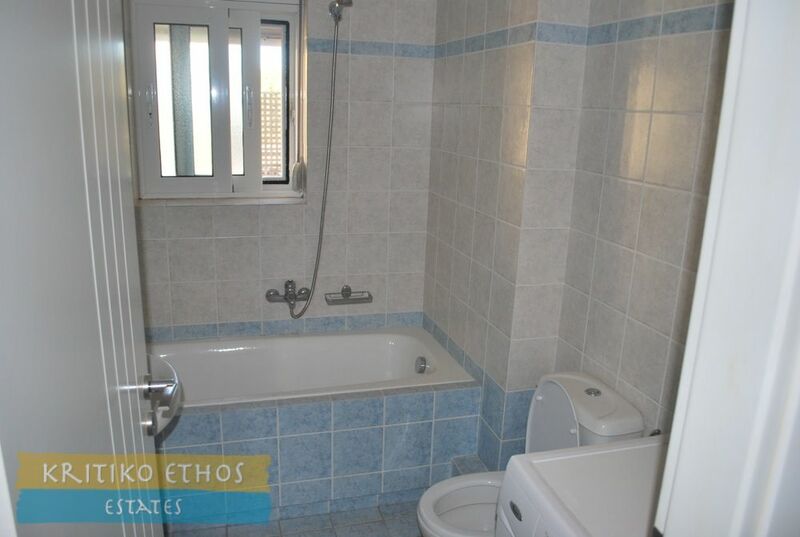 Each room (with the exception of the bathrooms!) 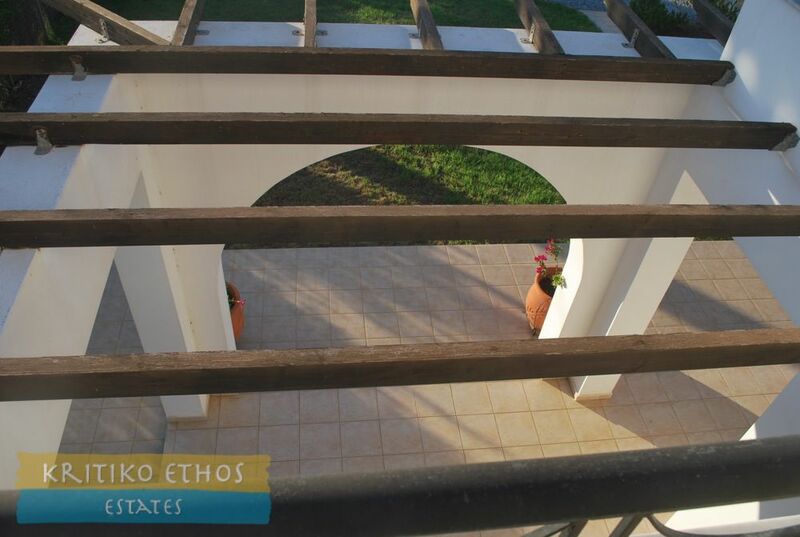 leads directly to the outside terraces and that is important here as we tend to dine and relax much more outside than inside! Completed in 2008, the villa is one of only three in the area and the location is truly peaceful and quite yet within easy reach of both Kefalas and Vamos with all their fine amenities. 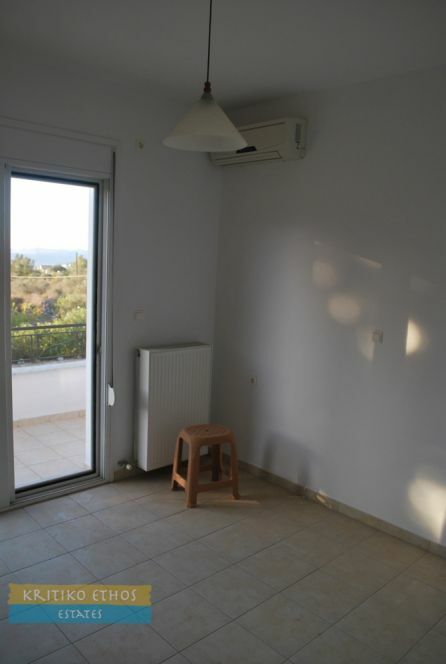 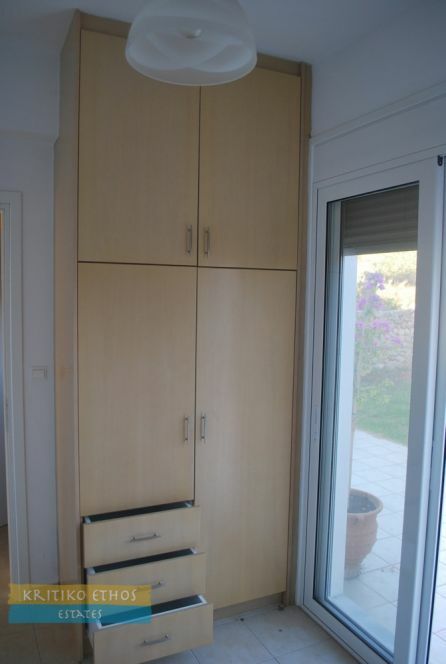 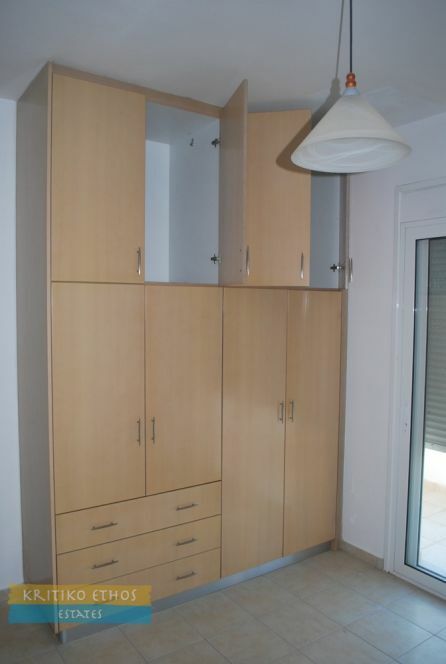 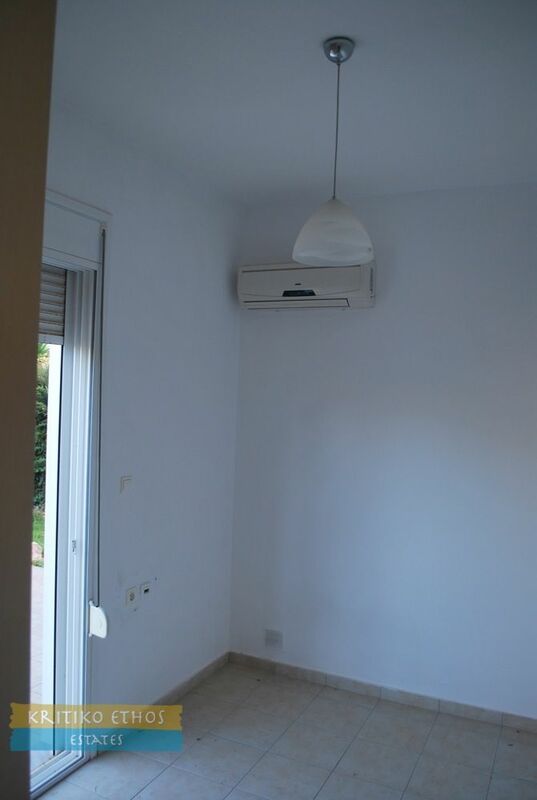 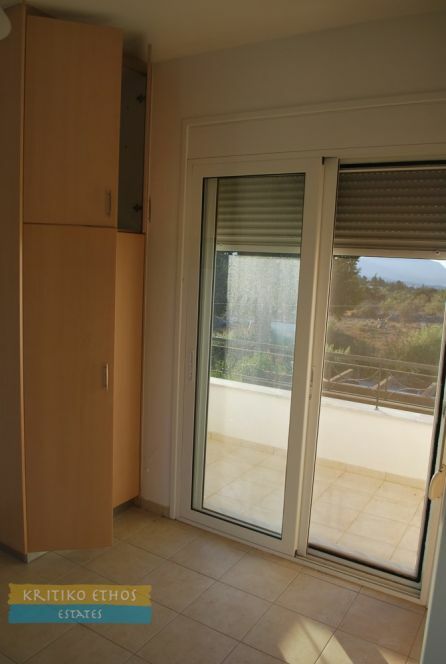 It is also a short and easy walk to the kafenion and well-stocked mini-market in Xirosterni. The ground floor comprises a bright and spacious open-plan sitting and dining area with sliding glass doors leading to the front terrace. The large and fully-equipped kitchen is separated from the sitting area by an arch. Again, sliding glass doors from the kitchen lead directly to the front terrace. 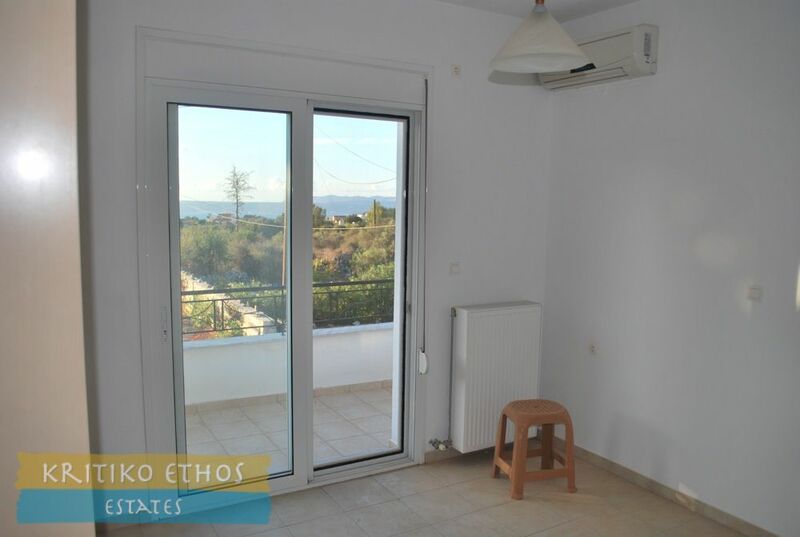 One bedroom is situated to the rear and also has sliding glass doors leading directly to the rear terrace with lovely views to the rear garden and countryside. 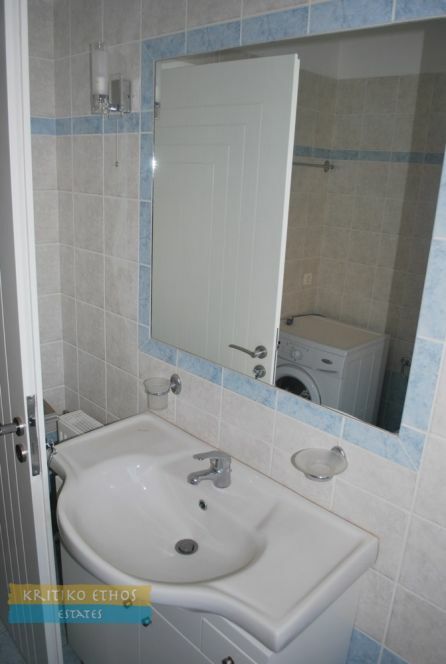 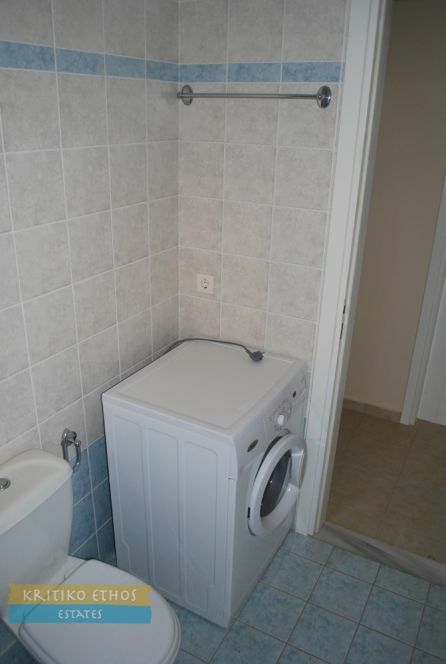 There is also a shower room as well as an under-stairs storage area on the ground floor. 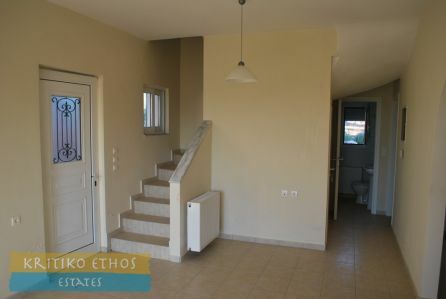 A tiled staircase leads to the first floor with two large double bedrooms and a family bath. Each bedroom has direct access to private south-east facing terraces offering distant sea views and beautiful mountain views. The gardens have been carefully landscaped and there is a traditional threshing circle (aloni) in the front garden. There is plenty of space for a pool or spa should the new owner desire. 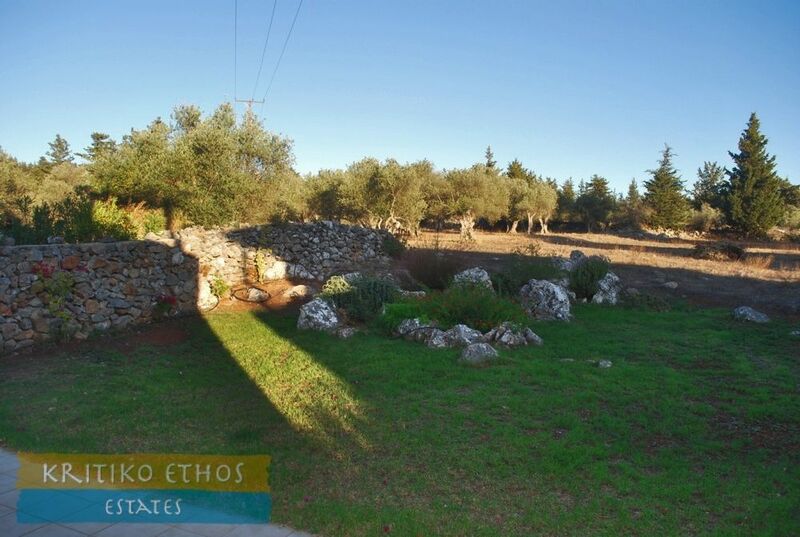 Large rural plot yet easy walking distance to the village! 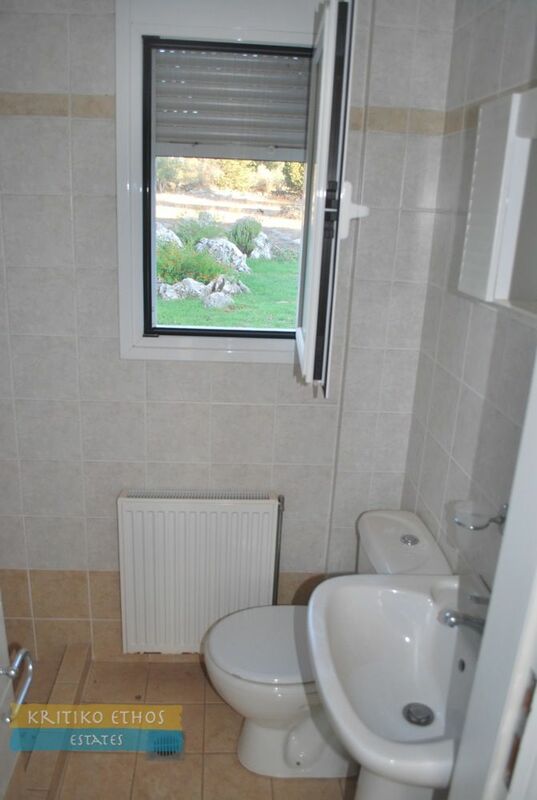 Excellent mountain and sea views! Plenty of outdoor space to enjoy!